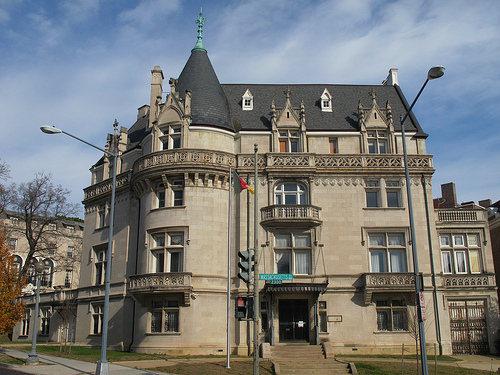 This is the former Embassy of Cameroon. Despite the flag flying, it is now vacant but you can still see how amazing the building is. I hope somebody saves this beauty soon. It’s way too amazing to be sitting vacant for too long.